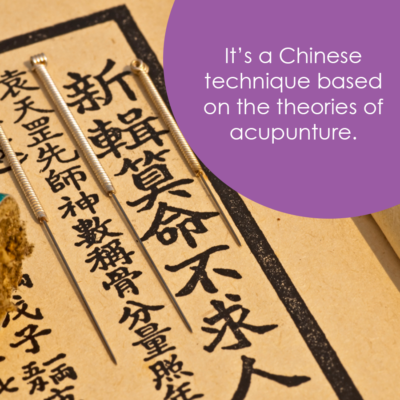 Auriculotherapy is a therapeutic technique based on Chinese acupuncture, which states that the human body has different energy channels running throughout our body organs and tissues. 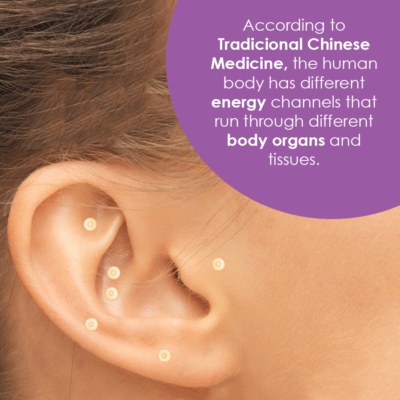 According to the traditional Chinese Medicine, the ear surface “reflects” our different body parts, so we can stimulate them by putting pressure on specific points. Auriculotherapy has proven very effective for weight loss. We apply pressure on specific points of the ear surface that stimulates your digestive system and improve your digestion; as well as it stimulates your central nervous system reducing your stress and your food cravings. In such way, it’ll be easier for you to follow our Food Guides so you’ll lose weight faster. What do we call “dots”? 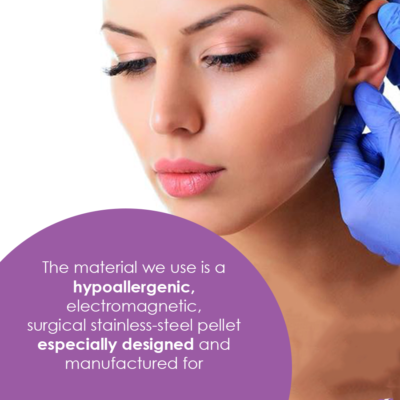 “Dots” are the pellets we place on your ear using a flesh-colored adhesive tape. The material we use is surgical stainless steel, so you can be sure you won’t have any allergic reaction. Where does auriculotherapy come from? 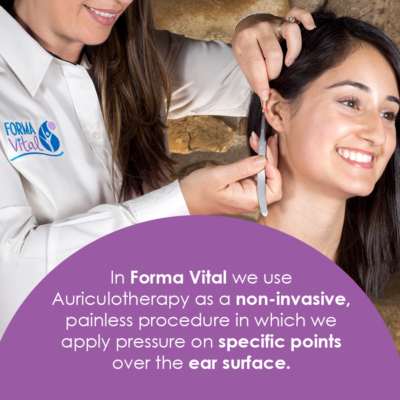 Therefore, auriculotherapy can be used to detect, as well as to treat varied conditions, when an auricular point is stimulated, we can identify which body part is affected and, if continued pressure is applied, we can alleviate some of the symptoms. During the last years, auriculotherapy has become relevant. Therefore, several research centers have carried out scientific studies to explain how it works; even the World Health Organization has endorsed it as a reliable alternative method for health care.